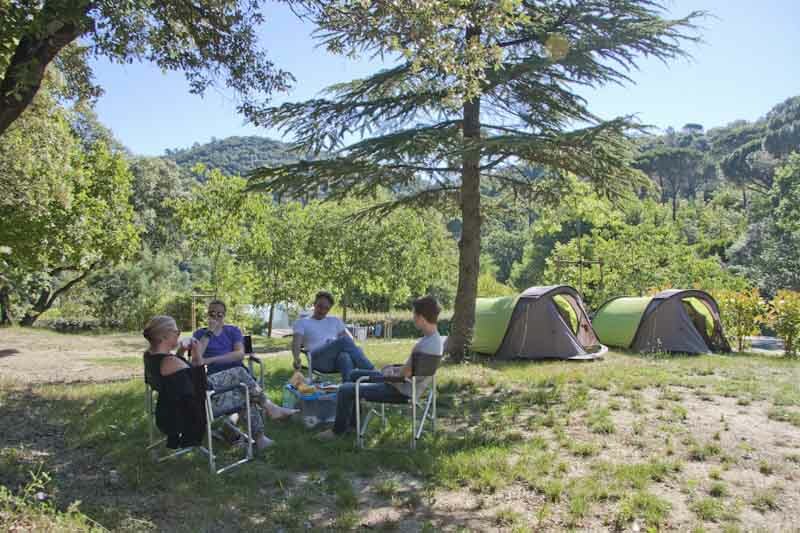 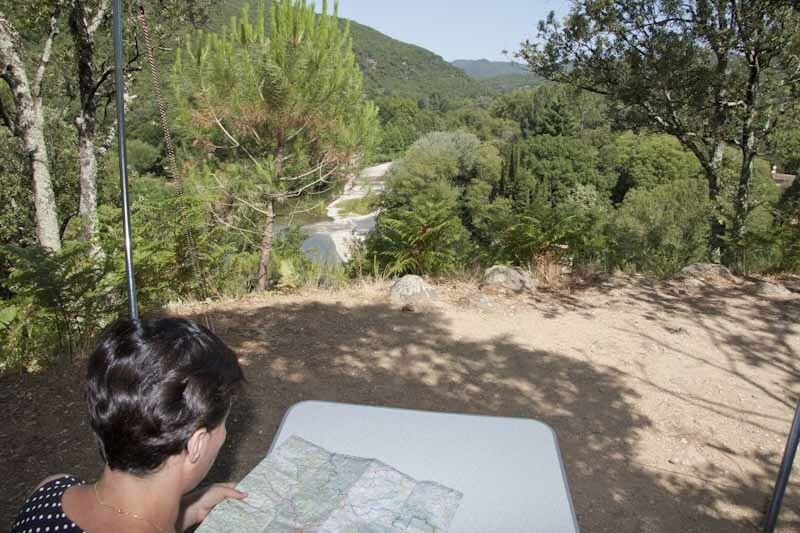 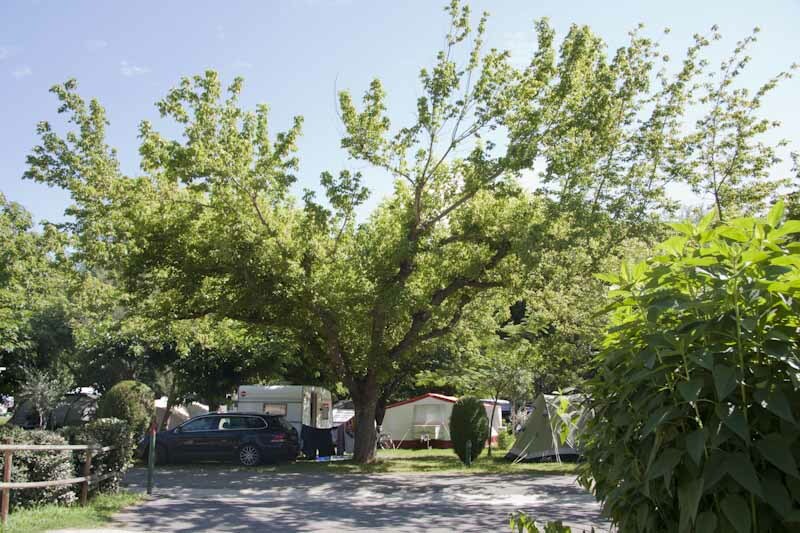 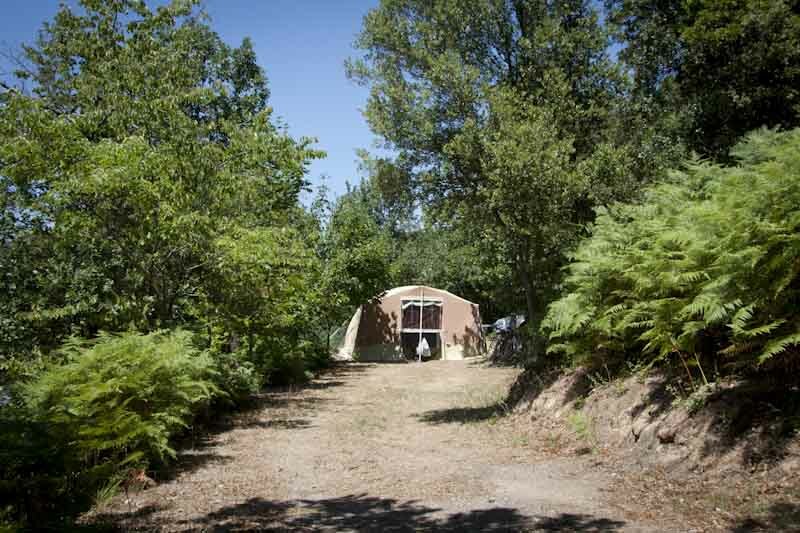 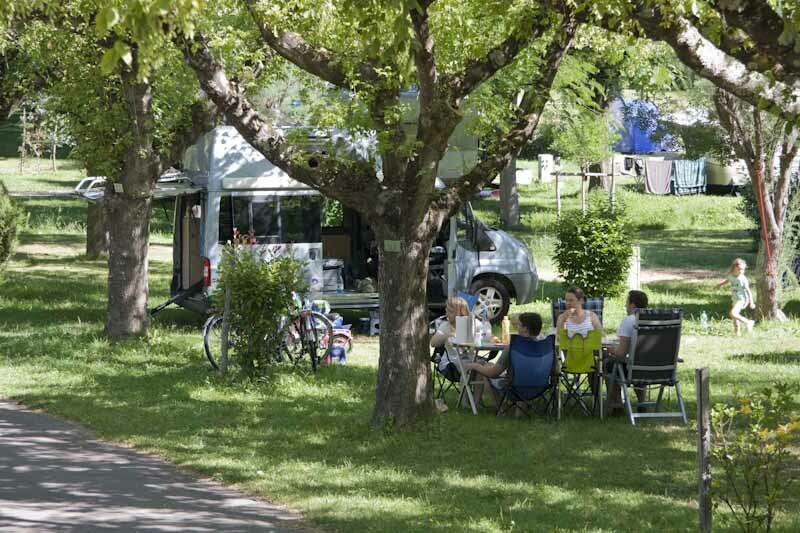 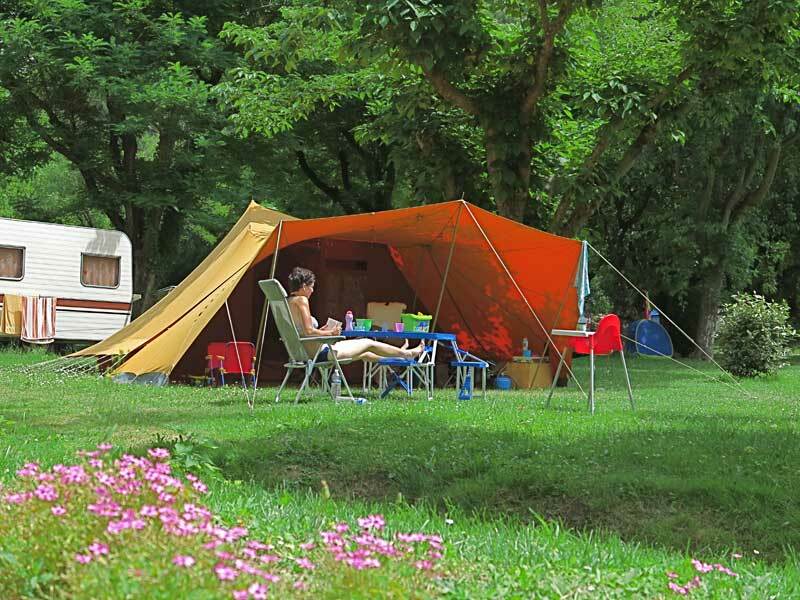 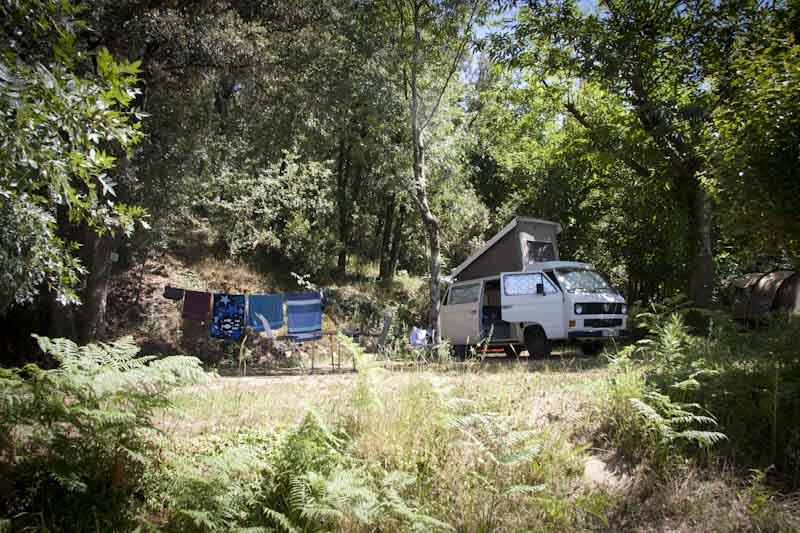 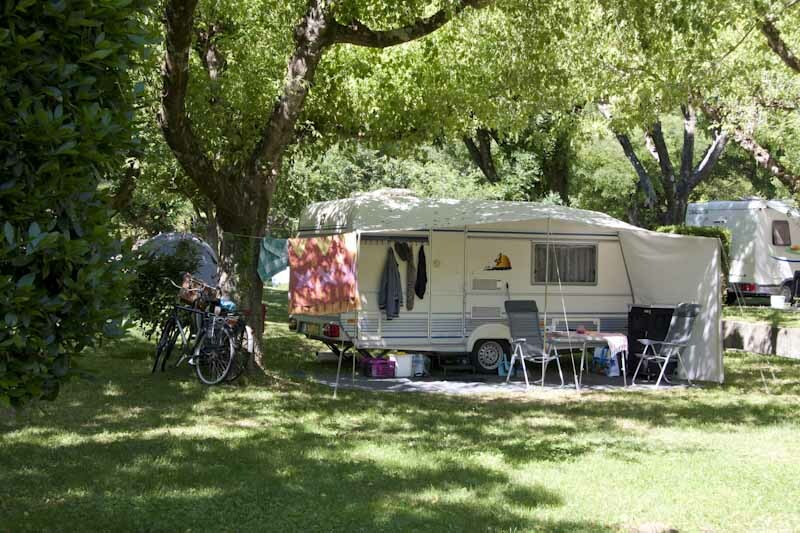 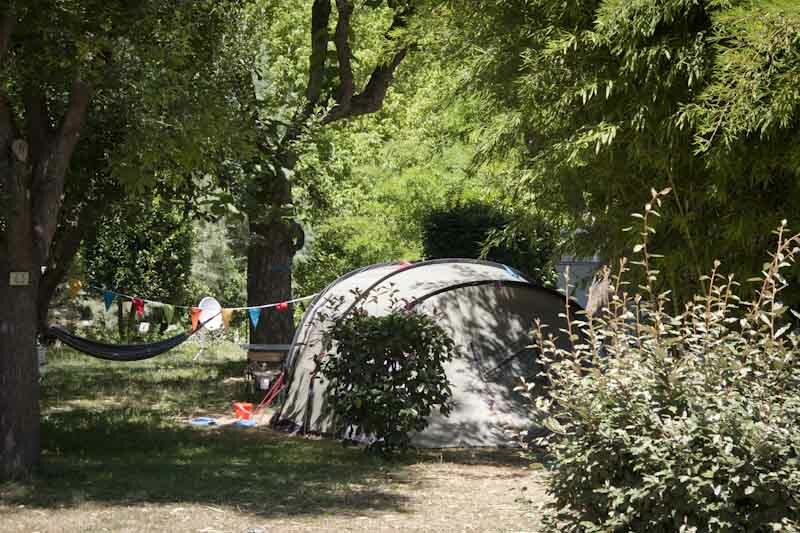 Enjoy the pre and afterseason when you travel to the Cévennes with tent, caravan or camper. 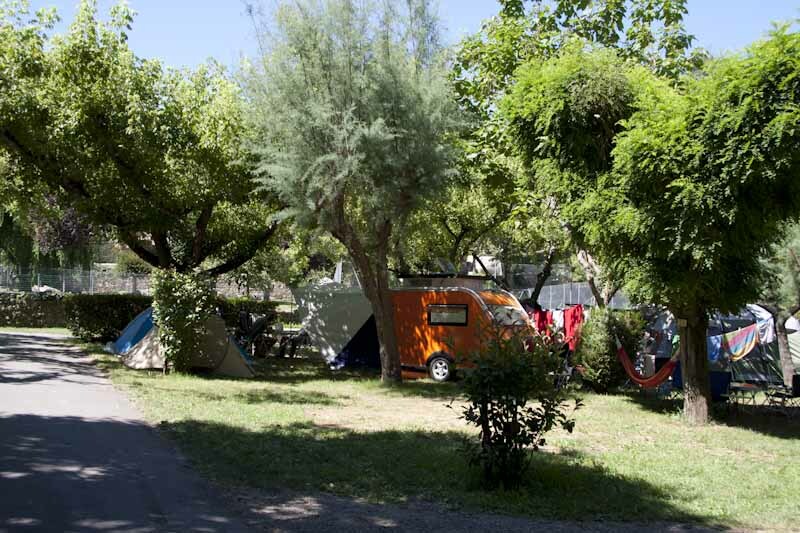 Opened from March 20th until October 1st , our camping offers comfort and quiet for a succesfull holiday. 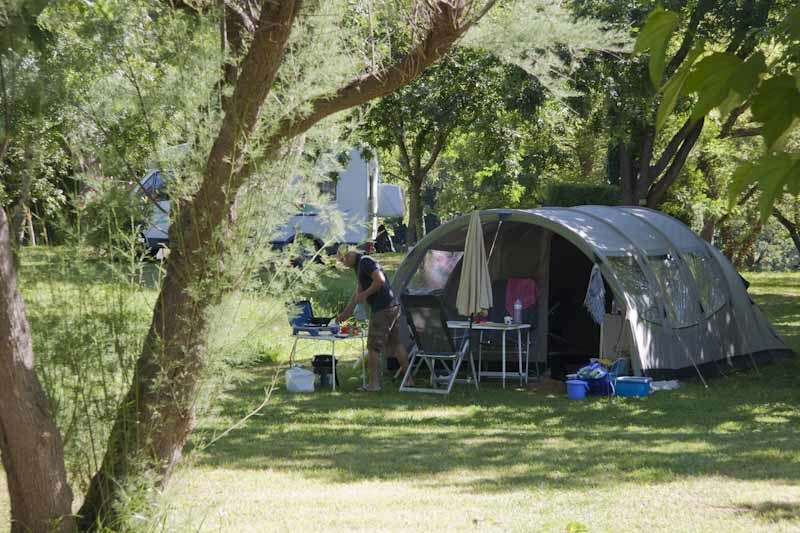 Nature is omnipresent: the 226 pitches are spread out over 30 acres and situated on a 30 seconds - 9 minutes walk from the river. 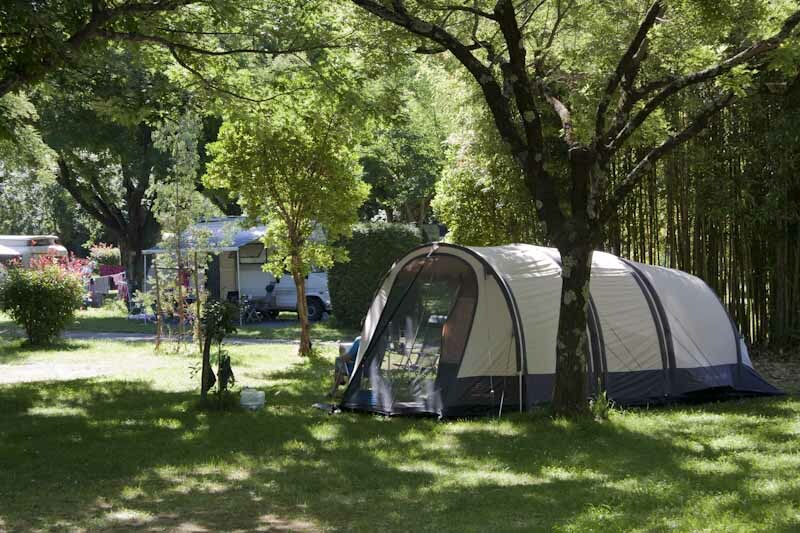 Traditional camping pitches, in the shade, semi-shade or in the sun. 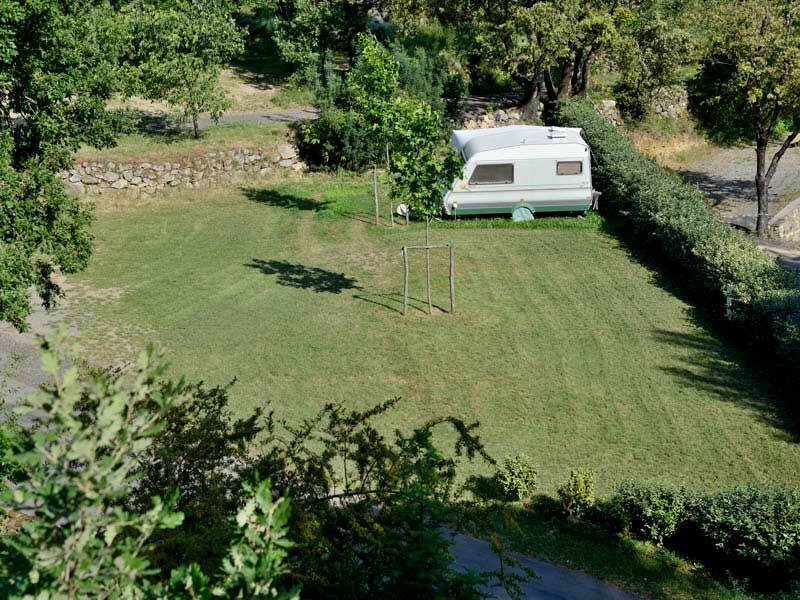 They are all separated from each other and all on the same level. 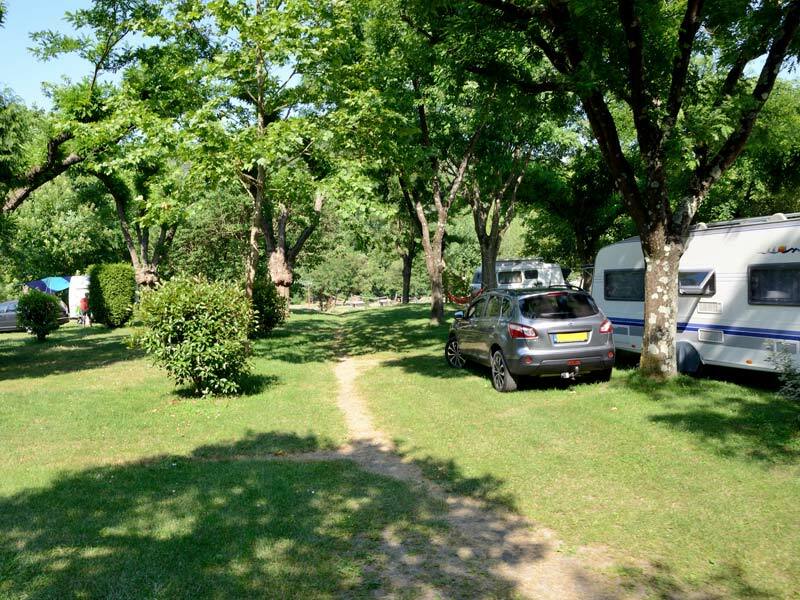 Quick access to the river, the playing fields for children, activity zones and relaxation areas. 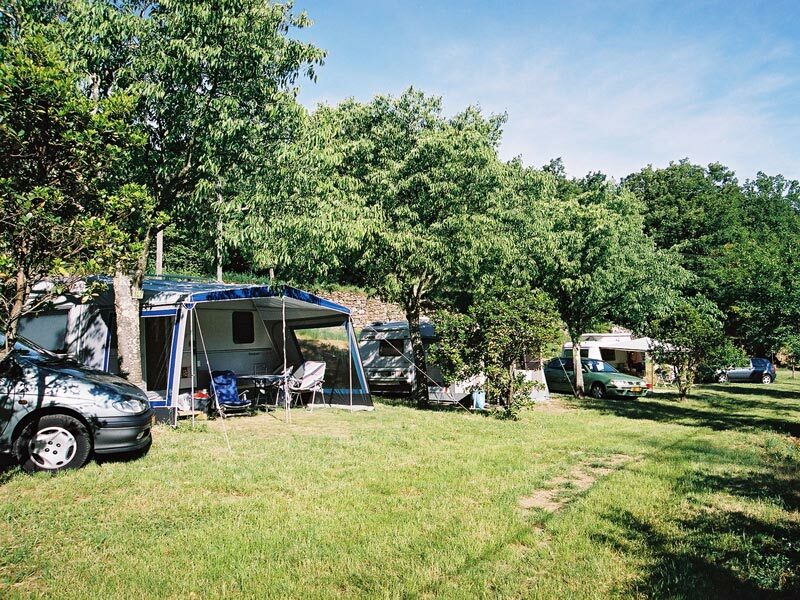 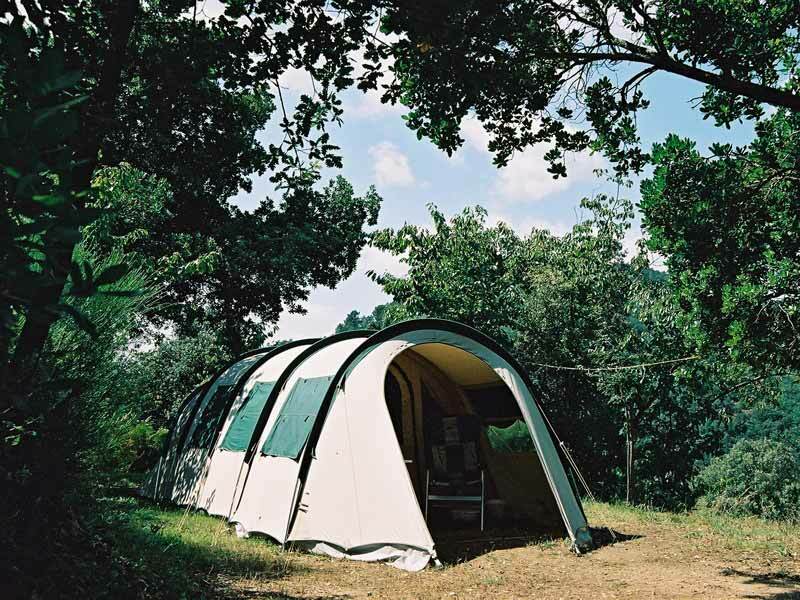 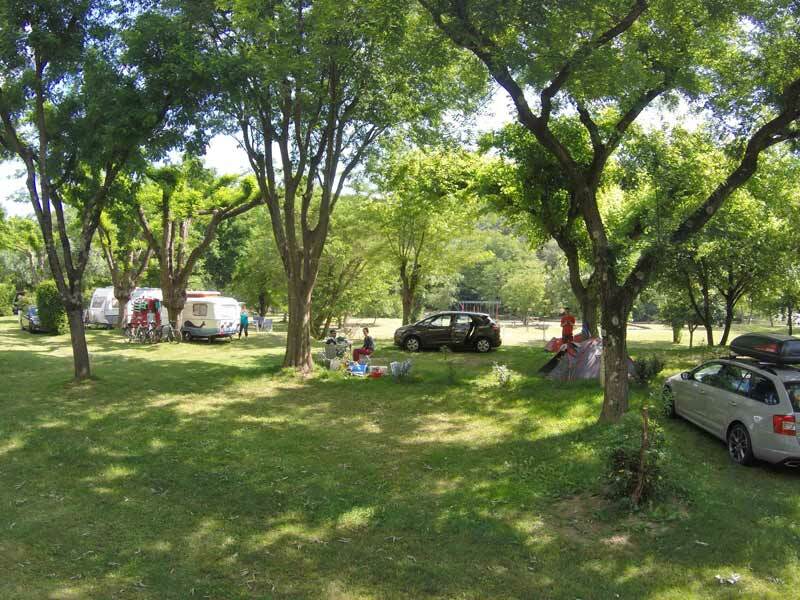 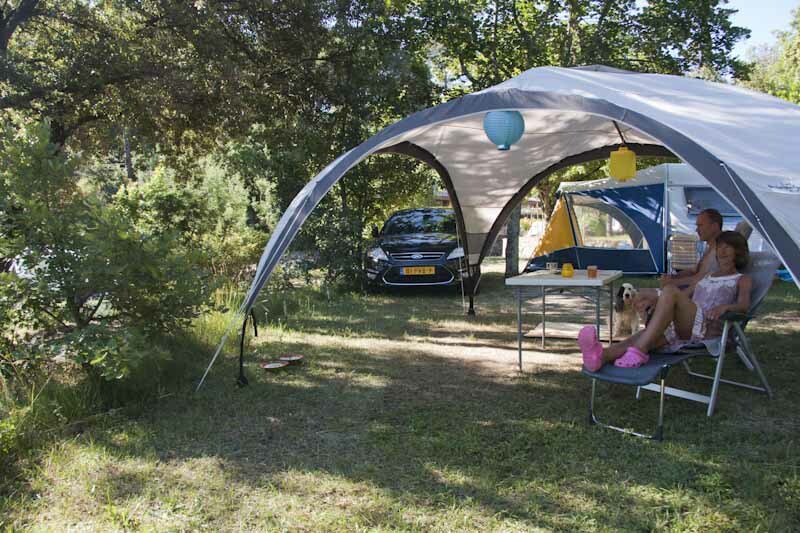 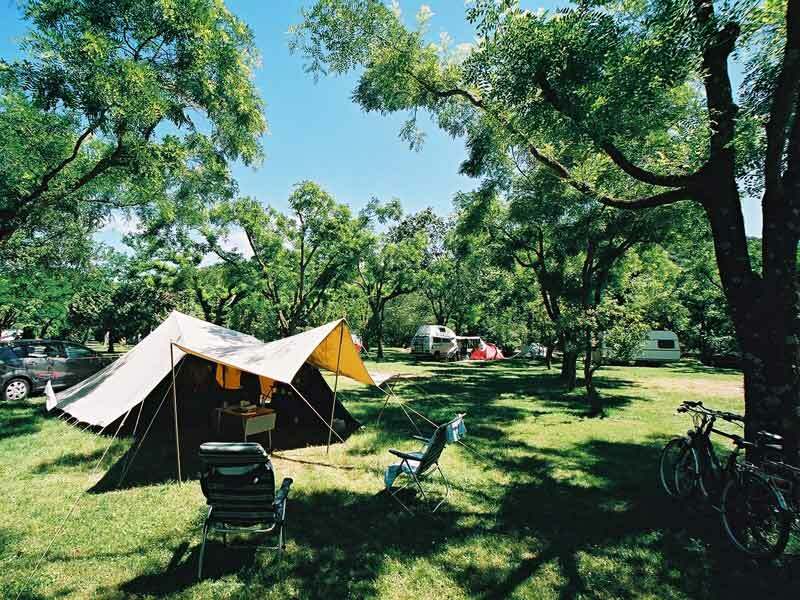 This lower part of the camping is ideal for a holiday with small children. 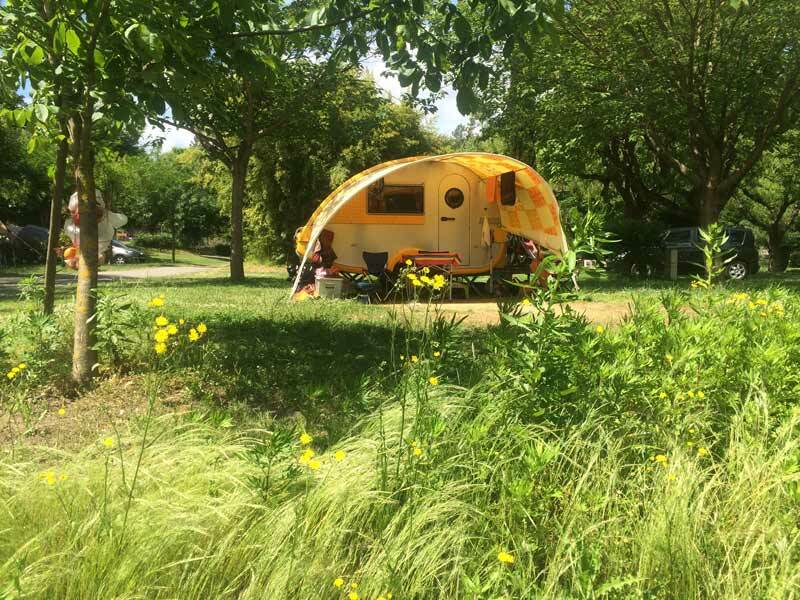 Opened from March 20th until September 1st. 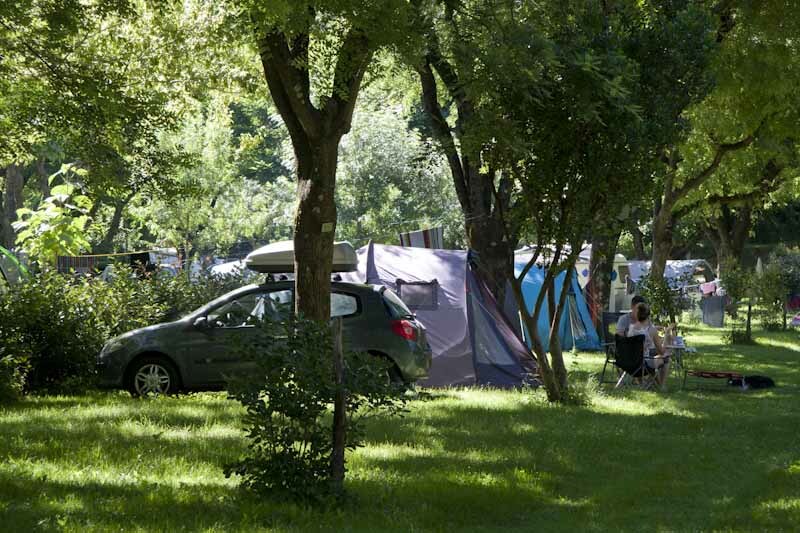 These pitches are situated 2 to 5 minutes from the river and the playing grounds, in the middle of the camping site. 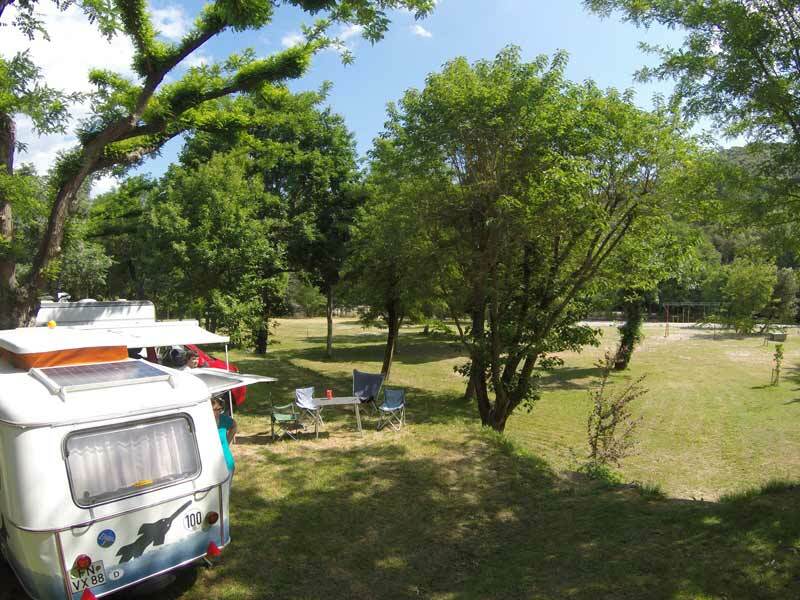 Each terrace has 1 or 2 rows of pitches: less neighbours than in the lower part of the camping. 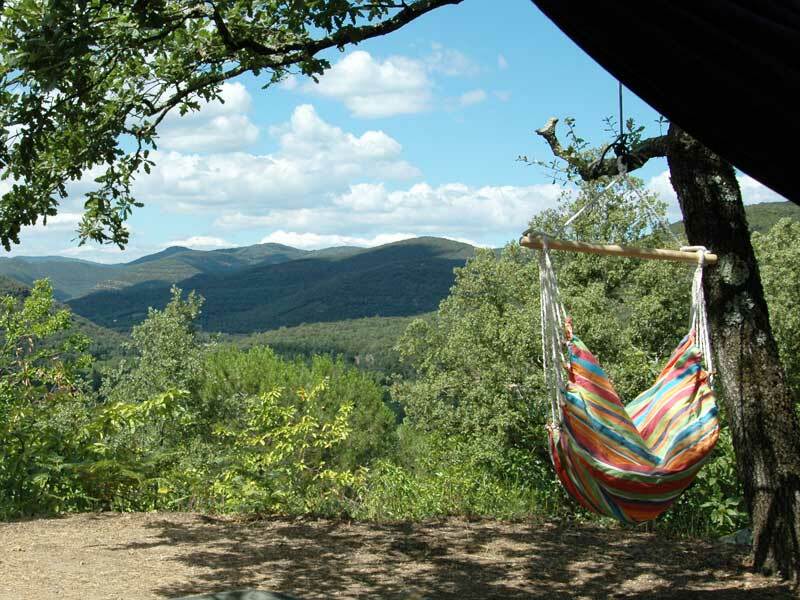 These terraces are typical for the Cévennes and are located around the center of the camping. 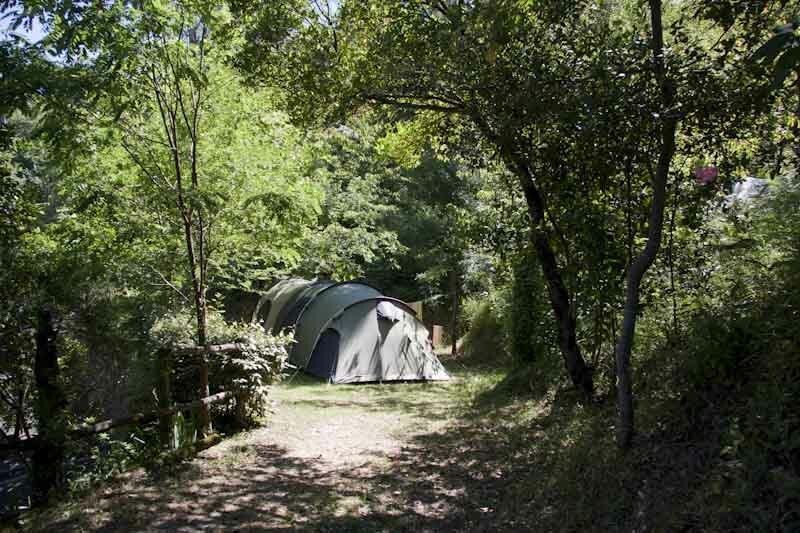 This section is open from March 20th until October 1st. 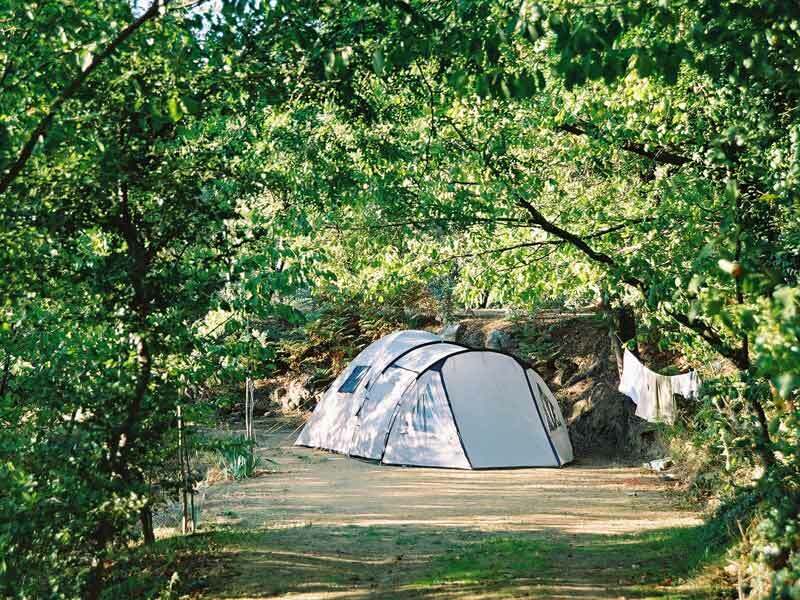 These pitches are real quiet and in the middle of nature! 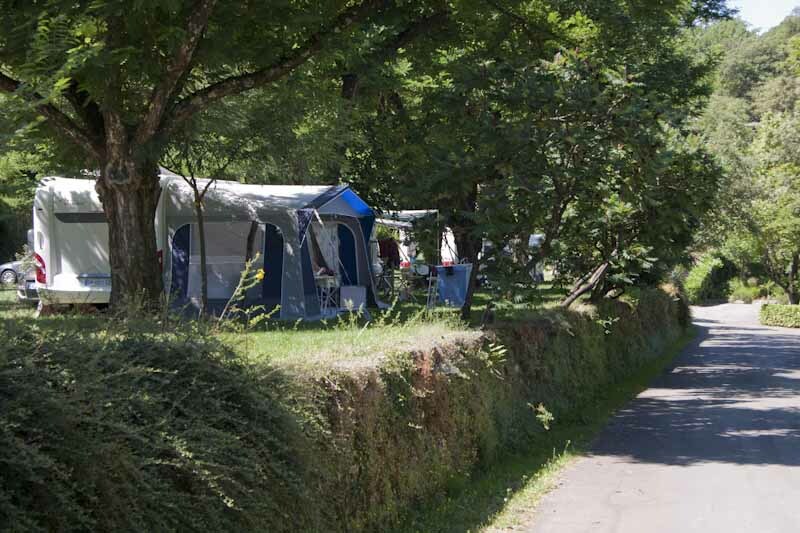 They're more private and isolated, and still you profit from all the benefits of a 3 star camping. 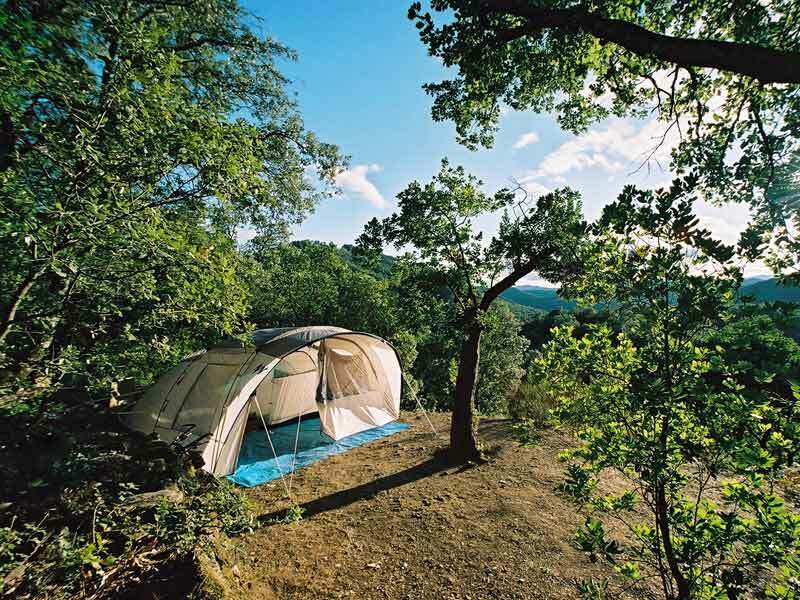 The perfect spot for lovers of nature. 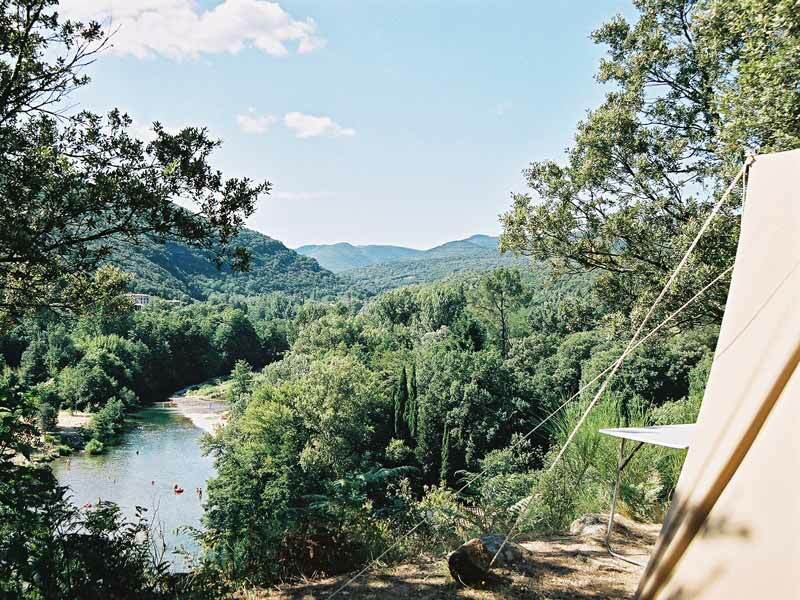 You will have a unique panoramic view of the river and the countryside. 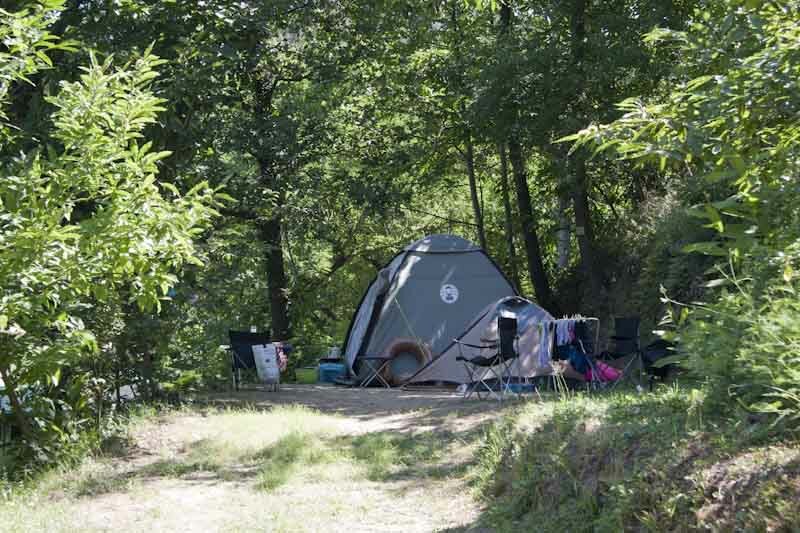 Section is open from March 20th until October 1st. 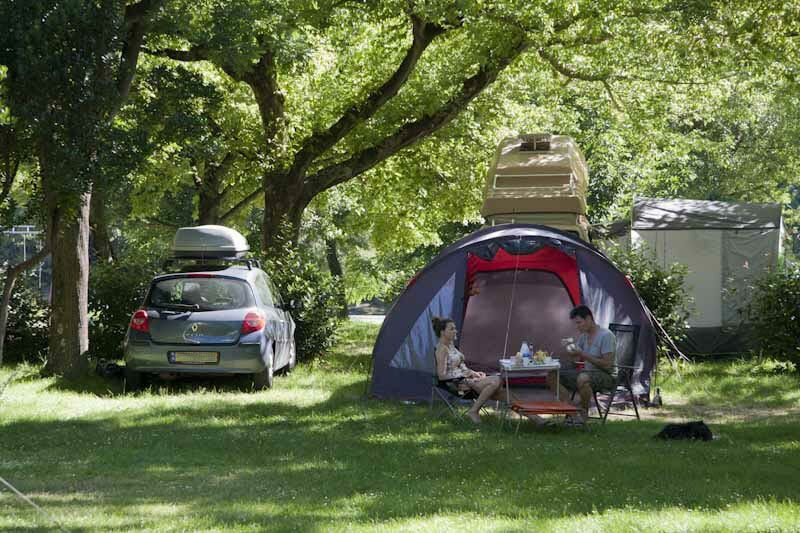 Ensure yourself of a trouble-free welcome and insure yourself against inconveniences! 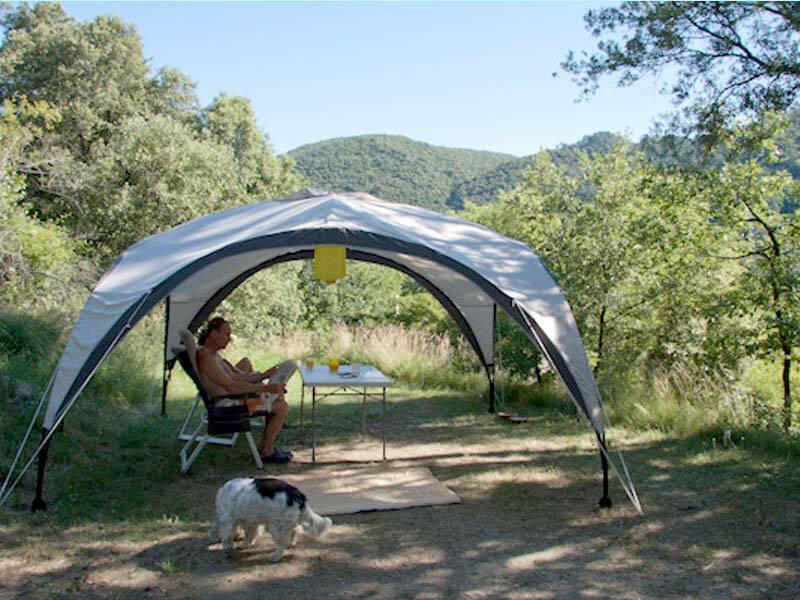 It was very quiet when we were there and the restaurant and bar were closed. 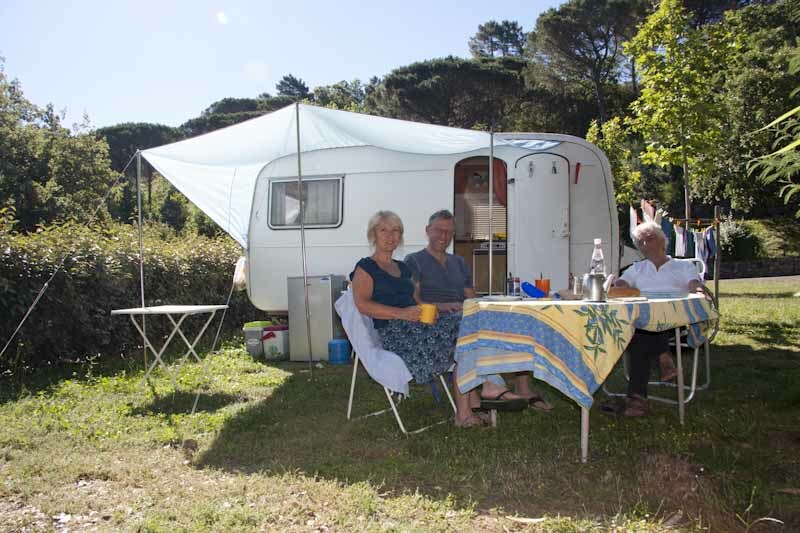 The shop was "winding down" but had good fresh fruit and veges. 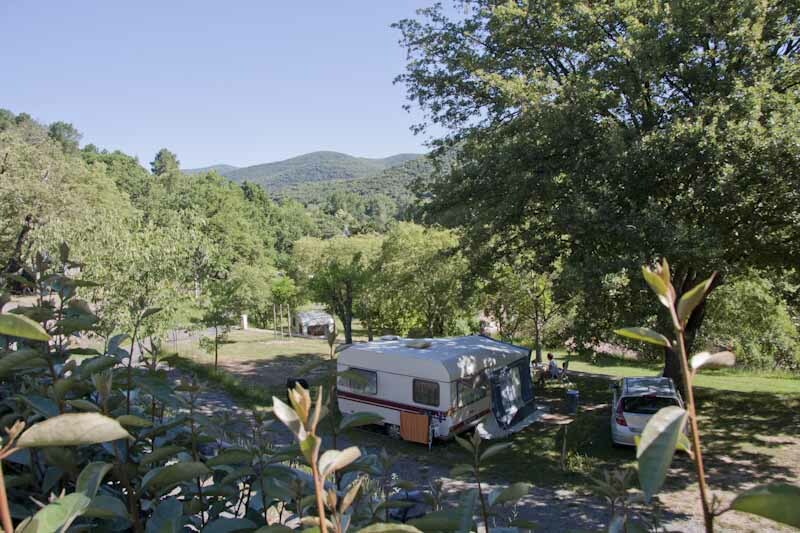 There are plenty of supermarkets in nearby Anduze, but we stayed put on the site and enjoyed the wonderful weather and views. 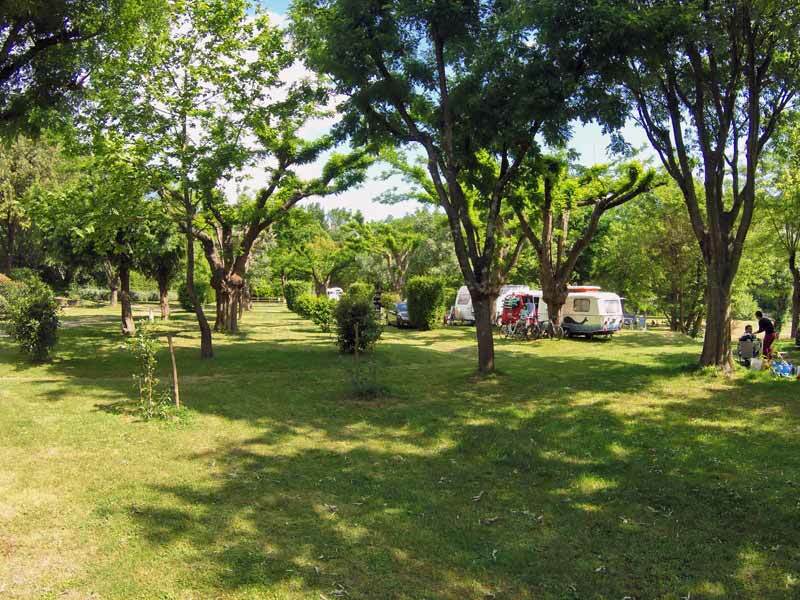 There are several short walks directly from the site. 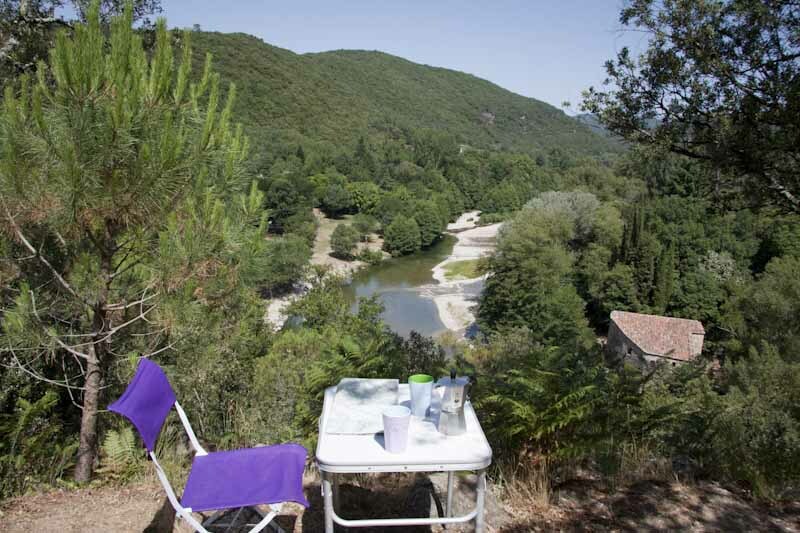 "We had asked for a pitch 'en colline' which is on terraces in the woods, with great views over the gorge. 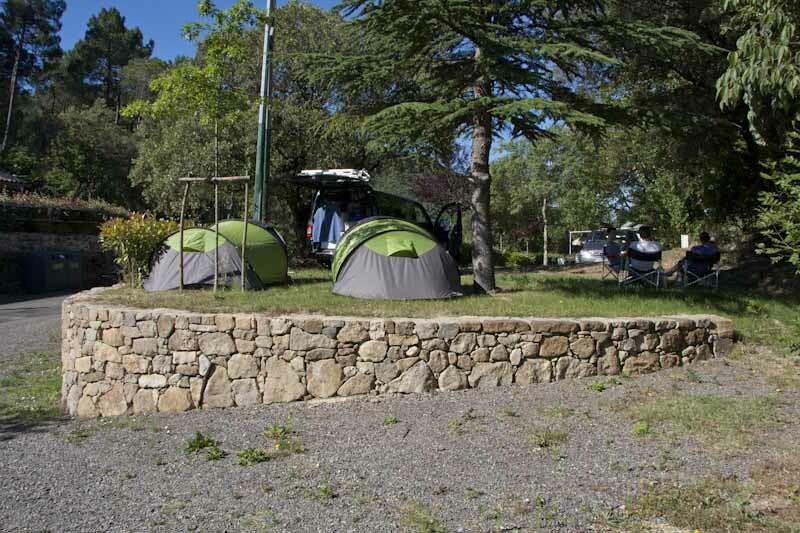 The pitch was absolutely enormous - we've got a big 4 bedroom tent and had that up, plus a gazebo and had our car parked on it also, with plenty of space to spare. 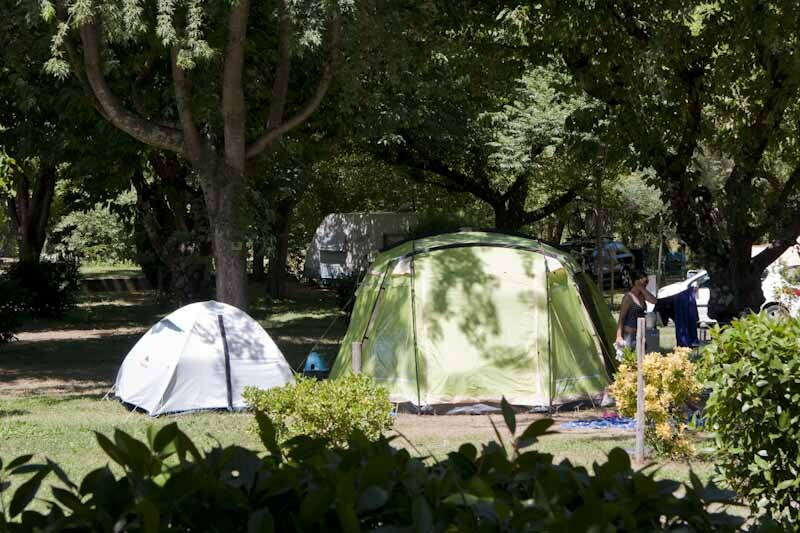 Pitches all have electricity if needed and you can rent a fridge. " 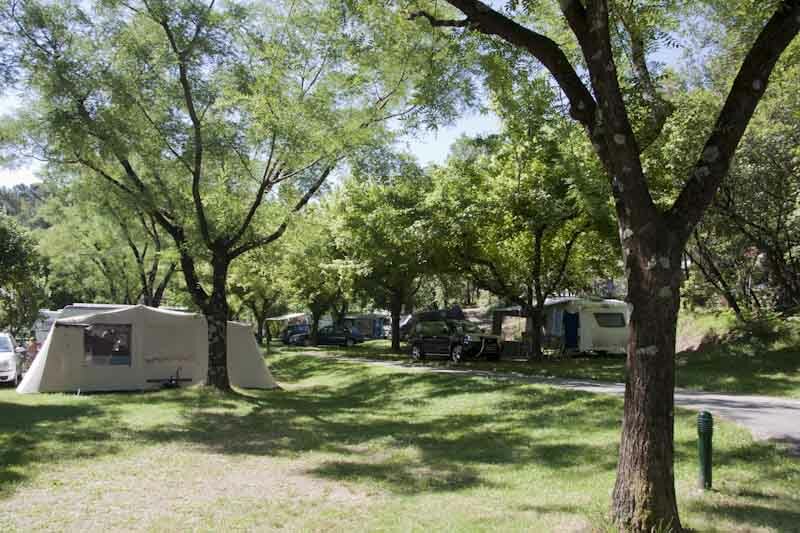 A perfect peaceful, natural campsite for our family. 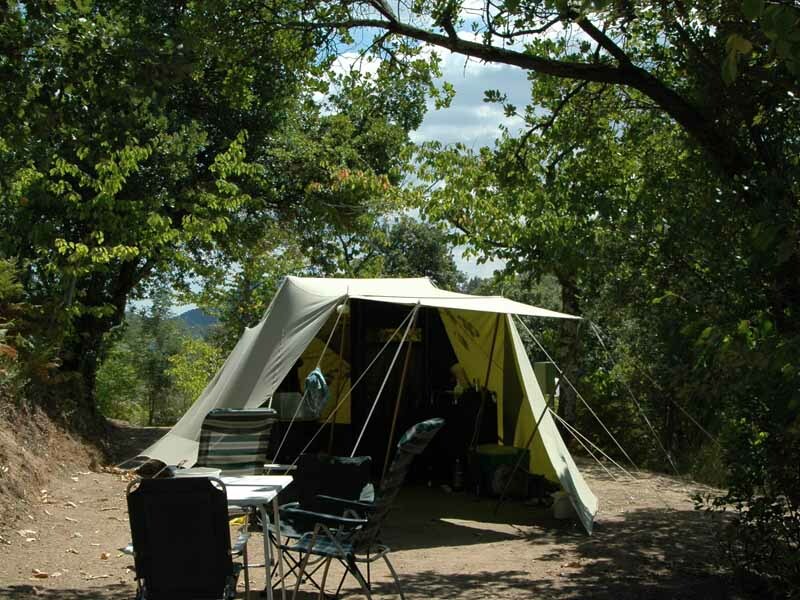 We had a hill pitch which meant an individual pitch carved out of the hillside, plenty of room for our large tent with lots of extra space, with shade from the hot sun and wonderful views. 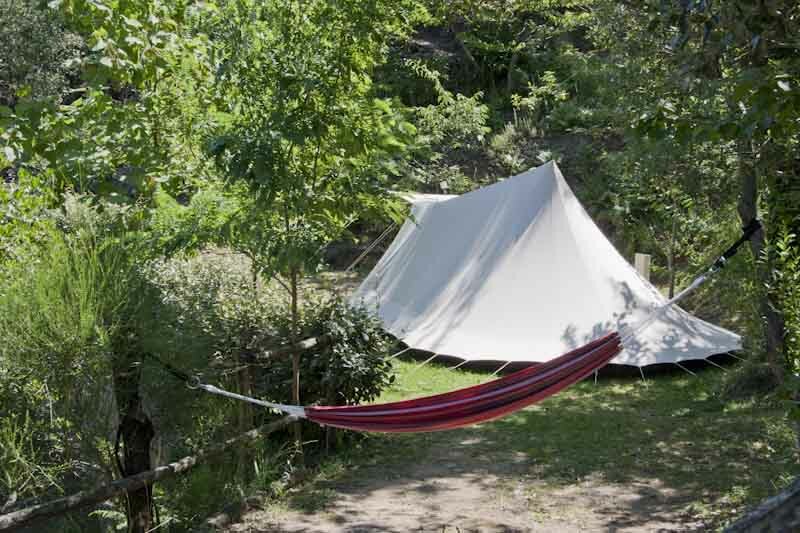 Wonderfully relaxing, but if you book a hill pitch be prepared for lots of walking up and down steep paths and steps!